Dreamcast is the last console from Sega Corporation - once a big player in the home entartainment business. Since all of the official support ceased way back in 2002, it's hard (and expensive) to find spare parts for it. Unlike the more popular consoles, Sony Playstation for instance, whose power supply or new laser unit can be easily bought even today, there is no such possibility when it comes to Dreamcast. Therefore, it's worth knowing how to fix smaller or bigger problems all by yourself.. Thanks to Efendija, a fellow member of the Emulation Galaxy boards, the best emulation and gaming forum in the Balkans, this guide is available in English. Depending on your feedback English articles on this blog might become a usual practice. Please, leave your opinion in the comments section. One of the problems that every optical media-based console (like the Dreamcast) sooner or later suffers from, is the gradual loss of disc reading ability. The laser mechanism gets dirty over time, movable parts wear out, and the console puts more and more work to load a game from the disc. In the end, it might even refuse to read any disc at all. However, if you know what you're doing, you can try to improve the situation for a while. By increasing the laser's power above its original value, quality of the reading also increases, although at the cost of laser's lifespan. But since the console already reads the discs badly, decreased lifespan is not your main concern, right? 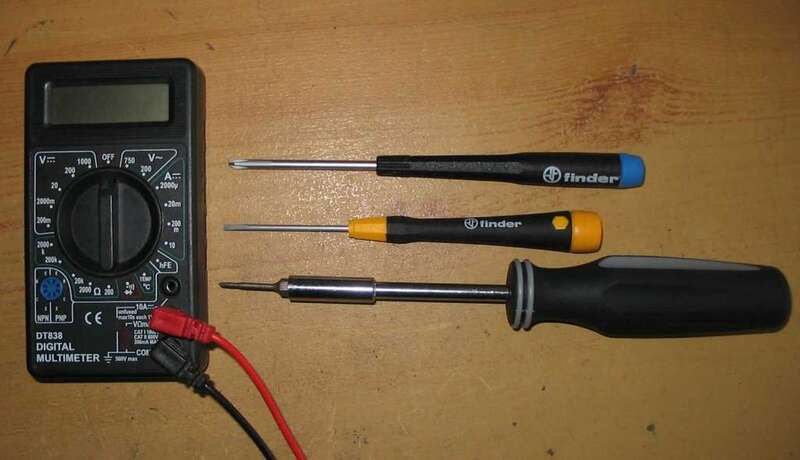 Important note: this guide describes opening the console containing an internal power supply. 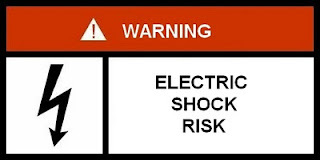 Partially discharged high voltage capacitors inside can cause an electrical shock to an inattentive user. It is advised to turn off the console by unplugging it from the power network for at least 24 hours before opening, so all the capacitors discharge properly. Author of this article takes no responsibility for any kind of damage caused by following these instructions, including, but not limited to health issues, equipment damage, fire, or others. You are following the instructions on your own responsibility. 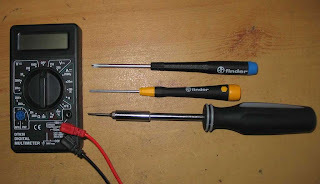 Although not necessarily required, it's good to have an ohmmeter or oscilloscope. It's OK if you don't have one - operation can be done without it, but it's a bit riskier and more time consuming. 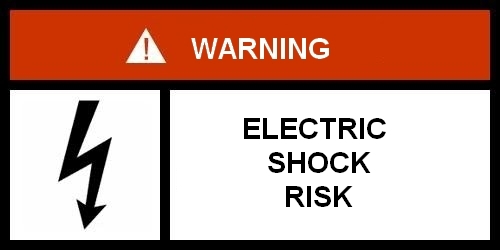 A Chinese-made ohmmeter will work just fine, so head on to your local Chinese shop if you don't want to take chances. People who opened the Playstation 2 before will be glad to hear that it's far easier to open the Dreamcast than the Sony's console. Only four regular screws separate us from its internal components. To get to them, turn the console upside down. Three corner screws can be seen directly, and the fourth one is hidden behind the modem, on the left side. When the screws are loose, you can move the console to it's original position and lift the mask up. It should lift almost without any effort. You will see console's interior. Laser lens will most likely be in the position marked on the picture, next to the disc spinning wheel. In order to reach the potentiometer which determines laser's intensity, you have to move the lens manually, as pictured below. You'll hear a delicate cracking sound - the sound of a plastic gear moving against it's will. As long as you are gentle and don't overdo it, no harm will be done. When the laser is moved all the way, you can slowly lift the whole construction towards the right side, taking care of the flat cables. You'll see the bottom side of the laser's mechanism. Right next to the flat cable is our potentiometer. It's probably sealed with red varnish to prevent it from moving. At this moment, it's very important to mark the starting position of potentiometer, so you can return to defaults if such need arises. You can do that by measuring the resistance with ohmmeter, or simply by marking the position with a soft pen. It's important to measure the resistance before you start manipulating the potentiometer because different console models can have different starting values. You won't know how far you can safely go until you know the original resistance. You'll need to decrease the potentiometers resistance (which results in increasing laser's power and disc reading ability). If you have an ohmmeter, decrease the resistance by a few ohms. If you do it manually, without a measuring device, simply turn the potentiometer clockwise (as shown) for about one degree, or, if you're unable to estimate it, just move it a very, very small bit :). If red varnish gets in our way, cut it with a thin scalpel. After reducing the resistance, put the upper part of the laser back in its place (the lens doesn't need to be moved back this time, it will "park" itself once you turn the console on). It's time to try out your game disc. To do that, you can fully re-assemble the console, but it's also possible to do it in its current state. All you need is the game disc for testing, a power and video cables and a joypad. Before you turn the console on, find a way to permanently press the little switch on the upper right side of the device (possibly with a duct-tape), in order to fool the console that the disc lid is closed. Keep in mind that operating with the opened, powered console can be dangerous for it, for you, and for your environment, therefore if you don't feel OK about it, assemble the console completely before you power it up. Turn the console on, and try to start the game from disc. By noticing how much the console struggles while reading the disc you can approximate how far you are from calibrating the laser correctly. Most likely the console won't load the game after the very first change of the potentiometer. That shouldn't discourage you because the process of laser calibration demands patience and precision. It's up to you to repeat reducing the resistance by a few ohms and testing the disc again. You should repeat this process until we you to a moment when the console successfully reads the disc. When that happens, try the same disc several times more, along with a few others games, to make sure the console loads all discs correctly. You might need to reduce the resistance one more time to assure reading in any situation. If you're interested you can continue reducing the resistance and you'll notice that the quality of the disc reading, after passing a certain value, degrades again. So, there clearly is an optimal range of the resistances, generally different from console to console, where the laser successfully reads the discs, and out of which it reads them poorly, or not at all. That range changes over time as the console gets older and worn out. Decreasing of the potentiometer's resistance too much can burn the laser up. Generally, it's not advisable decreasing it more than 50 percent of the original value, but even that figure varies between consoles. If you have an ohmmeter, you can control the resistance. If you do it all manually, you have no means to determine when you're getting close to a dangerous value. Be aware of that. Different types of discs reflect the light in different ways, and that determines required laser power for reading them. Before the calibration, it's good to decide what type of disc you'll use most of the time. Whether those are original discs or our personal backups, you should choose a type (in case of backups, many people consider Taiyo Yuden - pastel Verbatim CD-R a great choice), because the laser calibrated for one type of disc, will be inferior when reading from the other types. You can clean the laser with ear-cleaning cotton sticks soaked in alcohol. Several gentle, circular movements over the lens should be enough. With a little bit of luck and a fair amount of patience, your Dreamcast can get a second life. If the calibration succeeds, appreciate the great gaming system you just fixed, and help other Dreamcast owners get their consoles up and running. THANK YOU SO MUCH! You fixed my Dreamcast! This method worked for me. I had already ordered another DC from EBay before trying this so now I'll have 2 but 2 is better than none! Thank you so much. I used needle nose pliers to gently move the laser screw there because I couldn't do it with any screw driver I tried, something to keep in mind if people run into the same problem I had. Yeah, potentiometers are sometimes hard to turn with the screwdriver, I sometimes use a cutting knife. 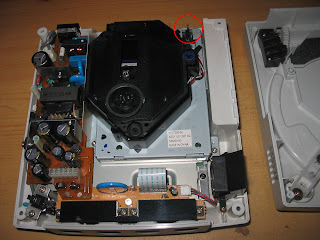 Most consoles can be fixed by tweaking the laser potentiometer, you just need to find it, and handle it with care :-). My problem was caused by playing a Bleemed beta game, it sounded like the laser was dieing, didn't take me long to fix it after it couldn't read any discs. Even my GDR games wouldn't boot, but thanks to you it has been resolved.